Use this product to kill bed bugs, dust mites and their eggs living on the surface and inside cracks and crevices of mattresses, box springs, furniture, large electronics and other items which can be placed in a treatment bag. No need to throw away a mattress or sofa - contains everything needed for a single treatment. For Luggage and Household items, purchase the Bed Bug Nest Killer₂ for Luggage & Household Items. 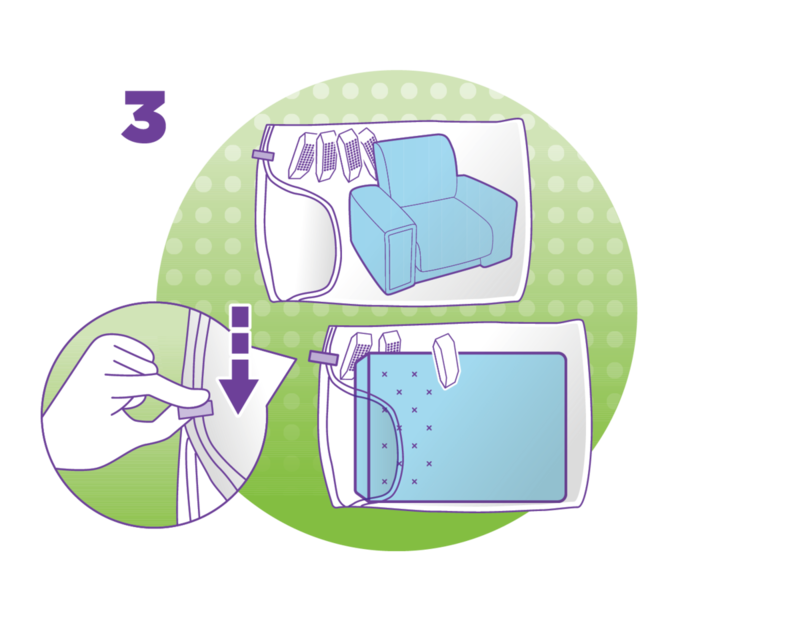 Perfect for treating large items such as mattresses and sofas – includes a treatment bag large enough for a king-sized mattress. 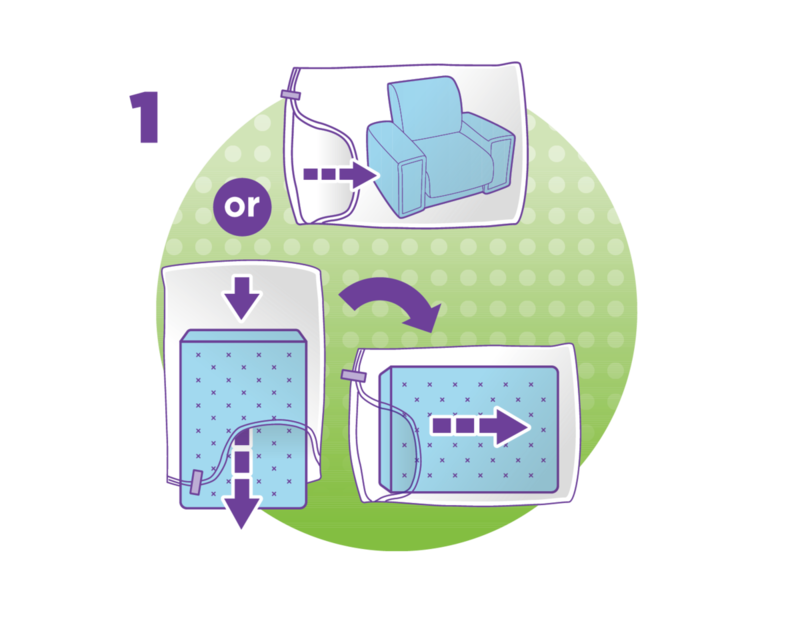 For Mattress: Lean Mattress (box-spring) upright against a wall away from spark, flame or heat source. Place bag around mattress from top. Turn bag and mattress onto side. Pull bag until mattress is all the way in. 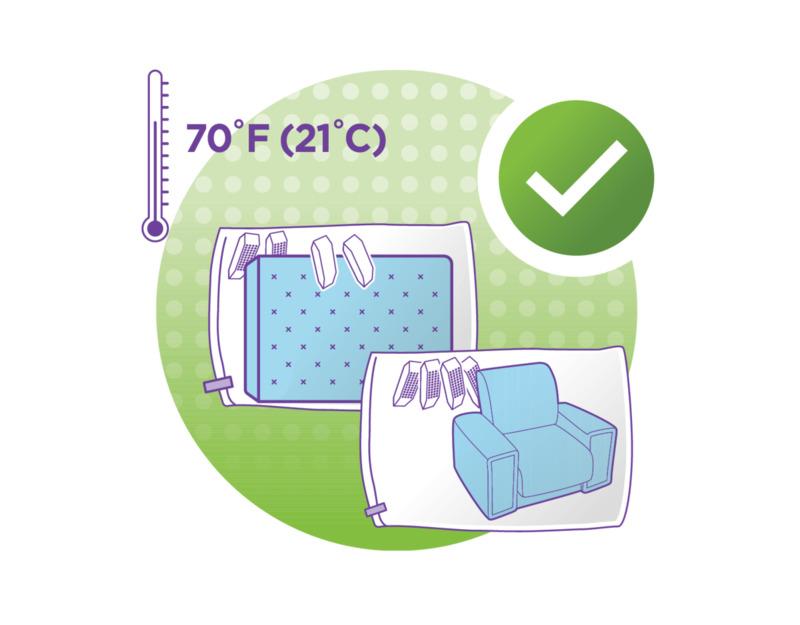 For Other Furniture: Place items inside treatment bag carefully to avoid damaging the bag. Do not attempt to place heavy or large items in bag by yourself. Remove peel-off seals to expose the vents. Remove sticker liner from back. Affix four (4) treatment pads to inside of bag near top with vent holes facing in. Ensure vent holes are not blocked. Seal bag completely. Inspect bag for airtightness. Repair any holes airtight using tape (e.g. packing tape). Open bag in well ventilated area or outdoors, away from heat, spark or open flame. Unplug any electrical devices nearby. Air out before removing treated item. 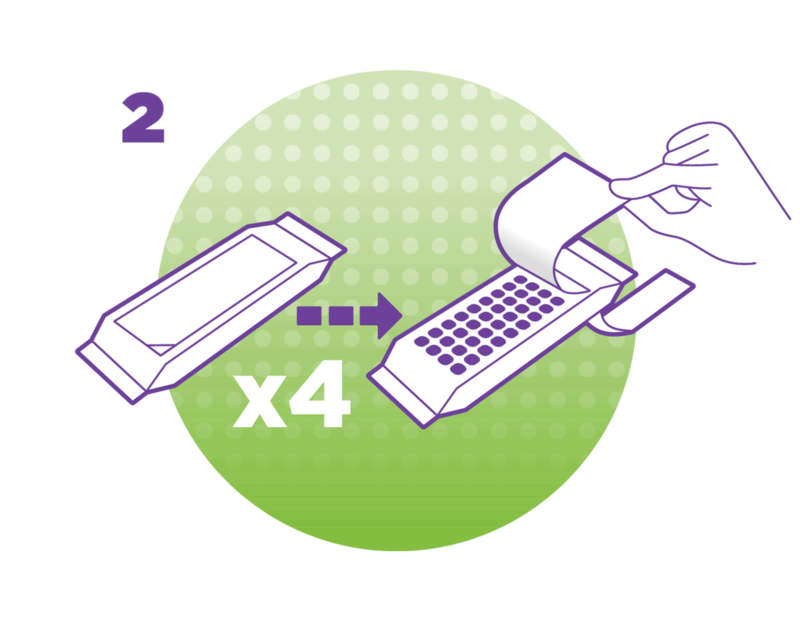 Treated items can be used immediately.